One underseen gem every Sunday. 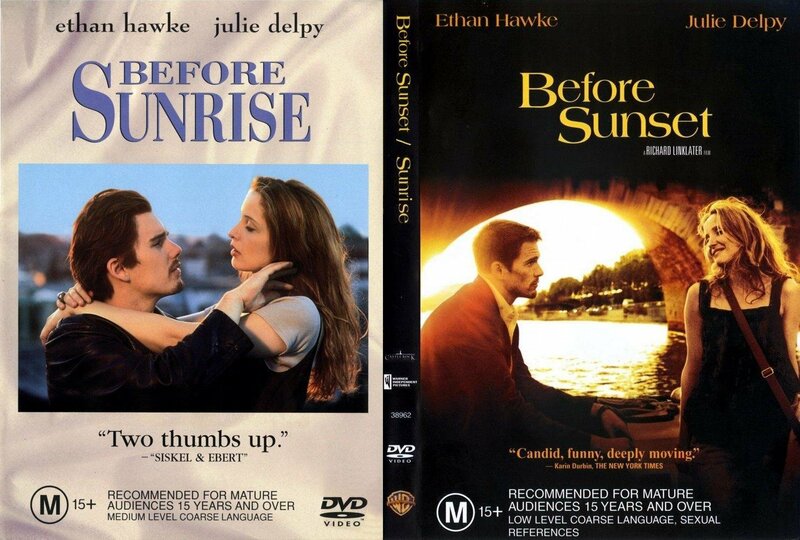 The two films, starring Ethan Hawke and Julie Delpy as strangers who form a relationship while traveling abroad, were shot 9 years apart, and the gap of time between the movies is consistent with the plot. In Before Sunrise the two randomly meet while on a train in Europe. Sensing a spark, the two decide to get off in Vienna and spend the night getting to know one another. What follows is literally a series of conversations as the two grow closer. It’s amazing how entertaining people simply talking can be, but when the dialogue is as enthralling as director Richard Linklater’s, it’s more exciting than a blow-em-up action flick. Before Sunset reunites the two love birds 9 years later in Paris (wait…they didn’t live happily ever after? ), and those 9 years have changed both of them significantly, for better or worse. The film is very similar to its predecessor, but something about it seems more profound. While the two were previously innocent young minds, they have now found themselves lost in lives that they didn’t necessarily expect to live. Hawke and Delpy have never been better, and their chemistry is a delight to watch. While Hawke has had other memorable roles in different movies, I have a hard time separating Delpy’s other roles with her character in these two films. She’s just that good. Before Sunrise and Before Sunset are two movies that I always put on at least once a year, and always watch back to back. If you find yourself longing for a good love story (perhaps around Valentine’s Day) or just want to watch a superbly made movie, you can’t go wrong with these two gems. This entry was posted on September 9, 2012 at 10:33 am and is filed under Drama, Romance, Screened In Sundays with tags before sunrise, before sunset, date movie, date night, ethan hawke, europe, julie delpy, love, love story, paris, richard linklater, romance, romantic, sequel, sequel better than original, vienna. You can follow any responses to this entry through the RSS 2.0 feed. You can leave a response, or trackback from your own site. I just can’t wait “Before Midnight”!